Sophomore Lexi Tater is joining The Bucs’ Blade for her first year. She spends most of her time playing sports such as rugby and soccer. 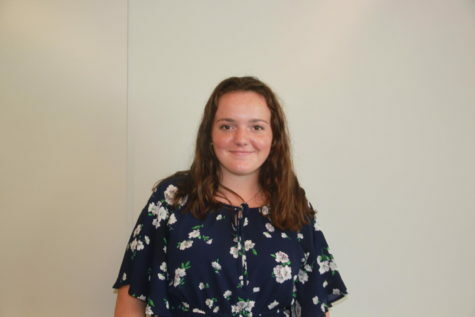 She also is an active member of clubs such as Raise Your Voice, SLIC (student leaders initiating change), Mock Trial, Girl Up Grand Haven, and DECA. When she isn't sucked up in school work, she babysits or spends time with family and friends. She travels a lot and moves quite frequently, previously living in Devonshire, Great Britain. She hopes to go to college to receive a major in something to do with social innovation or psychology. She plans to pursue a minor in Spanish as well. She sees herself living on the west coast, helping people in her future.